Green-headed tanager Tangara seledon, copyright Dario Sanches. In many parts of tropical South America, it is common to see small flocks of brightly coloured small birds foraging among vegetation, plucking off berries or hunting for insects. In many cases, these flocks may contain individuals of multiple or even several species. These are the tanagers, one of the Neotropical region's most characteristic bird families. Tanagers are members of the bird clade known as the nine-primaried songbirds (so-called because their wings have nine functional primary feathers rather than the ten of other songbirds) that also includes the finches, buntings and cardinals. The largest genus of tanagers, and indeed one of the larger genera of birds in general, is Tangara. This genus includes about fifty species found in various parts of the neotropics. In their overall structure, they are fairly uniform: small, sturdy birds with a stout, moderate-length bill and an average-length tail (Hilty 2011). 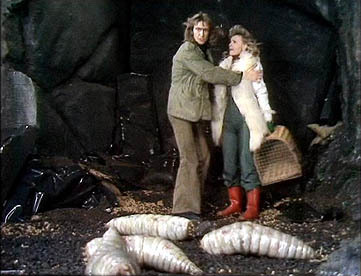 In other words, they have a fairly unremarkable, finchy-type appearance. In colour and patterning, however, they are considerably more varied, to the extent that I am at a loss to know where to begin. There are species of a rich, deep blue and of a bright, emerald green. There are species with bold, contrasting patterns of blues, blacks, greens or golds; there are species of a solid, uniform brilliance. There are species with caps or chests of orange or black. There are even a few, such as the plain-coloured tanager Tangara inornata, that eschew the gaudy pigments of their congeners entirely in favour of more restrained patterns of greys and beiges. 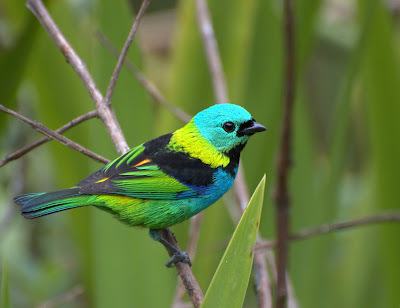 In many species, males and females show little or no difference in appearance; however, in the black-capped group (including species such as the black-capped tanager T. heinei), the males have contrasting patterns of black and blue or yellow whereas the females are largely green and grey. Golden tanager Tangara arthus, copyright Alejandro Bayer Tamayo. As noted above, tanagers feed on a mixed diet of fruit and insects. The fruit part is dominated by small berries that they can either swallow whole or mash with their bills before swallowing them piecemeal. 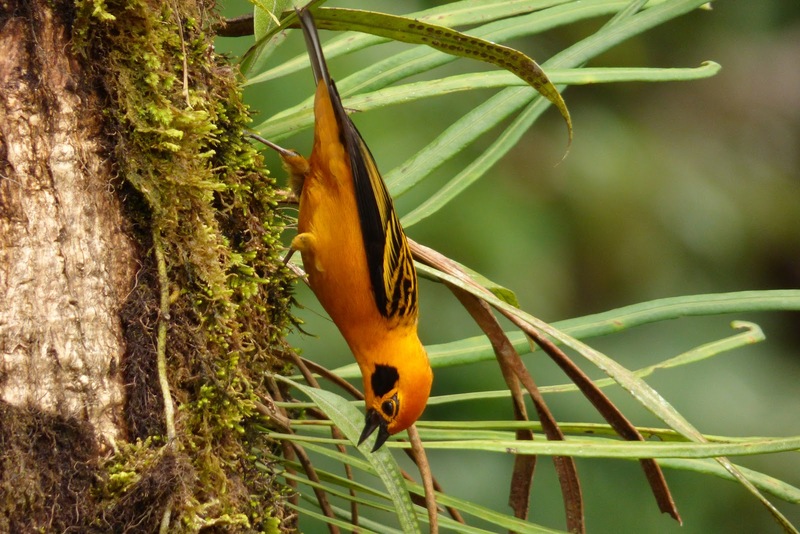 Studies on the mixed-species flocks formed by Tangara species have found that while different species show very little variation in how they obtain the fruit component of their diet, they usually show very distinct specialisations in how they forage for insects. Some hunt for insects along branches, others prefer to look on leaves. Branch-hunting species may differ in the thickness and density of branches preferred, or in the mode of searching employed. For instance, the golden tanager T. arthus and flame-faced tanager T. parzudakii can both be found foraging on moss-covered branches, but the flame-faced tanager usually catches insects by probing directly into the moss whereas the golden tanager usually either focuses on the moss-free sections or catches insects sitting on the moss surface without probing. A few species catch insects aerially, making short sallies from a perch. 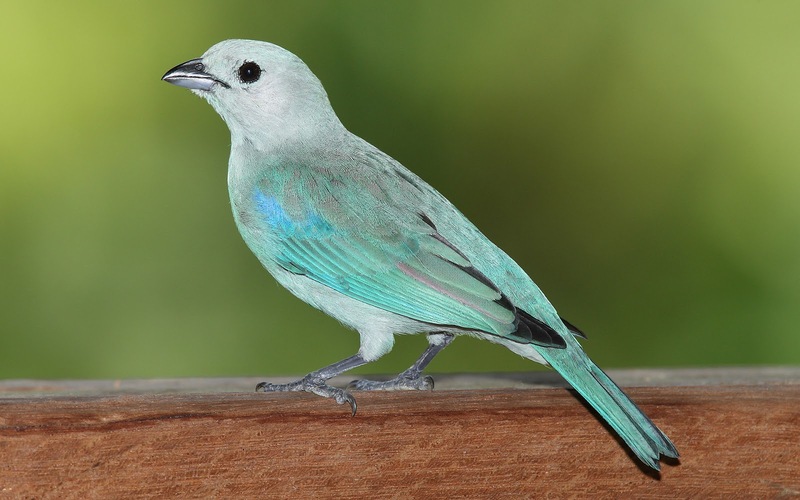 Blue-grey tanager Thraupis episcopus, indicated by phylogenetic analysis as a species of Tangara, copyright Mdf. Somewhat unexpectedly for a genus of this size and diversity in a group as taxonomically challenging as the tanagers, molecular phylogenetic studies have largely corroborated Tangara's monophyly. They have also supported the monophyly of most of the species groups recognised within the genus of the basis of similarities in plumage patterns (Sedano & Burns 2010). The only exception has been the discovery that many of the species previously included in the genus Thraupis form a clade nested within Tangara, leading to the suggestion that these two genera should be synonymised (apart from in informal discussions online, I'm not aware of anyone suggesting the alternative that Tangara be split). 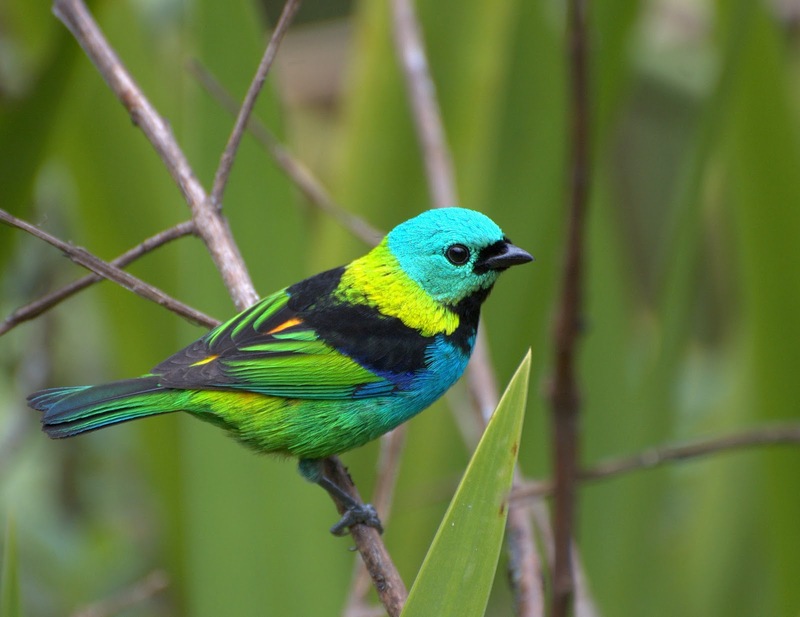 The 'Thraupis' species are larger and plainer in coloration than most other Tangara species. A few taxonomists have also suggested that the colourful green tanagers of the genus Chlorochrysa should be included in Tangara, but this relationship has not been supported by molecular data. Chlorochrysa species are glossier than the often more matt-coloured Tangara, and they have an acrobatic mode of foraging involving postures such as regularly hanging upside-down that differ from any Tangara species. Hilty, S. L. 2011. Family Thraupidae (tanagers). In: del Hoyo, J., A. Elliott & D. Christie. Handbook of the Birds of the World vol. 16. Tanagers to New World Blackbirds pp. 46–329. Lynx Edicions: Barcelona. Sedano, R. E., & K. J. Burns. 2010. Are the northern Andes a species pump for Neotropical birds? Phylogenetics and biogeography of a clade of Neotropical tanagers (Aves: Thraupini). 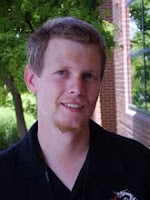 Journal of Biogeography 37: 325–343.